Singapore Airlines (SIA) has announced Adelaide as the launch destination for its new Airbus A350-900 medium haul aircraft. Slated to commence daily operations on 17 December 2018, the new A350-900 will operate as SQ279 from Singapore to Adelaide, and return as SQ278, from Adelaide to Singapore, subject to regulatory approval. The new A350-900 medium-haul aircraft will be fitted with 303 seats across two classes, with 40 seats in Business Class and 263 seats in Economy Class. 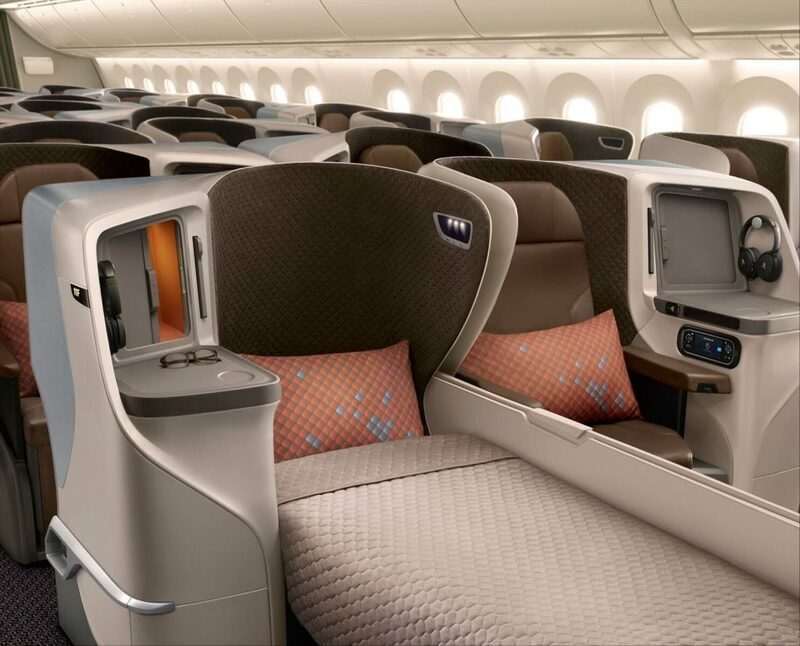 Equipped with the Airline’s recently launched new regional Business Class and Economy Class cabin products, the Business Class cabin boasts a 1-2-1 seat arrangement, providing every customer with direct aisle access, while the Economy Class cabin will be arranged in a 3-3-3 configuration. The A350-900 will be fitted with the latest Thales AVANT inflight entertainment system. Designed with a new user interface that offers a more intuitive user experience and navigation options, customers will be able to enjoy Singapore Airlines’ myKrisWorld personalised in-flight entertainment (IFE) now with even greater control. Customers will receive content recommendations based on their preferences and viewing history, while KrisFlyer members can continue to bookmark and resume content, as well as customise and save preferences and playlists for their subsequent flights. KrisFlyer members and Business Class customers will also have access to additional in-flight entertainment content choices. Complementing this experience, customers can select their choice of playlists from the SingaporeAir mobile app prior to the flight, and transfer these selections to myKrisWorld by pairing their personal electronic devices with the onboard system via Near-Field Communication (NFC). Furthermore, customers will have access to high-speed in-flight WiFi service onboard the new A350-900. The aircraft will be equipped with Inmarsat GX Aviation’s broadband connectivity system, offered through SITAONAIR. Following Adelaide, the A350-900 medium haul aircraft will also be deployed to Brisbane next year, subject to regulatory approval. The new medium-haul Business Class seats have been manufactured by Stelia Aerospace and are arranged in a forward-facing 1-2-1 staggered configuration to provide every customer direct aisle access. 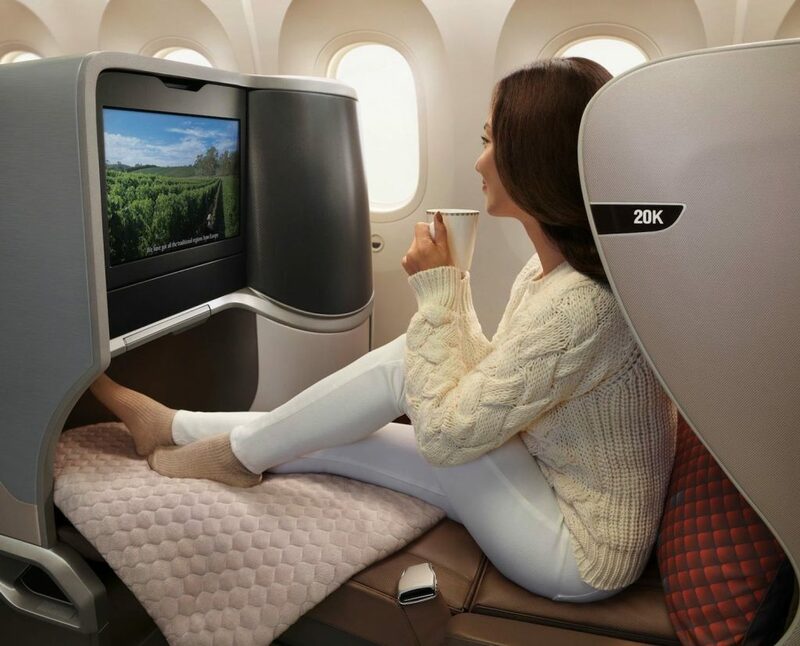 With each seat able to recline directly into a 76” fully-flat bed, Business Class customers can rest in more comfort, even on the shortest flights. Each seat measures up to 26” in width with retractable armrests that can be raised and lowered. Whether travelling alone or with a partner, adjustable dividers at the centre seats provide for a customised level of privacy to suit individual preferences. Customers can also look forward to other features to enhance their travelling experience, such as ample stowage space for personal items, a business panel with in-seat power supply and USB ports, an integrated reading light unit with adjustable lighting intensity and a personal 17” full high-definition touchscreen monitor. The new Economy Class seat has been designed and built by RECARO and also offers customers an enhanced in-flight experience. 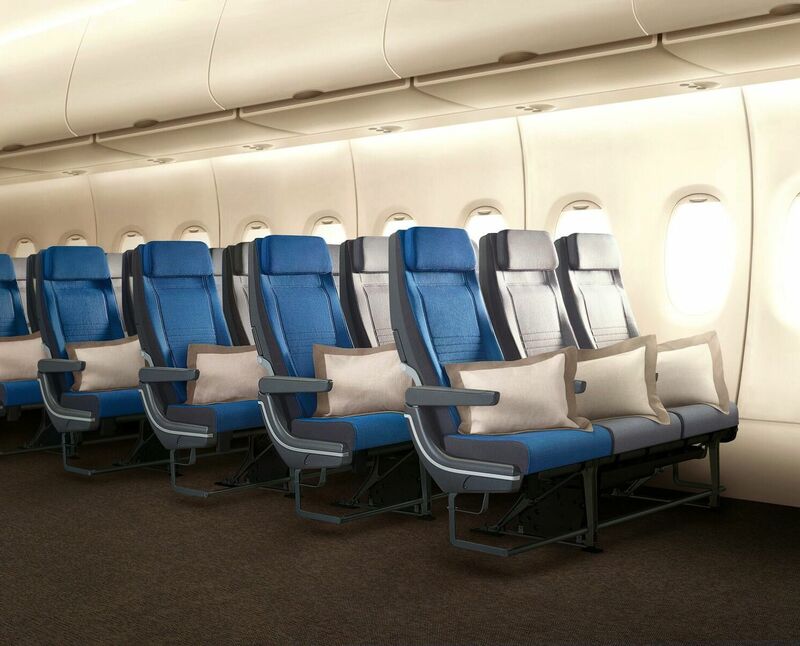 Arranged in a 3-3-3 configuration, each of the 263 Economy Class seats has an ergonomically-designed contour backrest that provides greater comfort, and a six-way adjustable headrest with foldable wings to provide more neck support. Economy Class customers can also enjoy an enhanced entertainment experience on their personal 11.6” full high-definition touchscreen monitor, as they browse from the selection of more than 1,000 movies, TV shows, audio programmes and games on myKrisWorld. Other features that Economy Class customers can look forward to include personal storage space for small personal items, a coat hook, USB port and in-seat power supply. Singapore Airlines ordered a total of 67 Airbus A350-900 aircraft, 21 of which are already in the fleet and have been fitted with Business, Premium Economy and Economy Class, long-haul cabin products. In October this year Singapore Airlines will launch the world’s first A350-900 Ultra Long Range (ULR), re-starting non-stop flights between Singapore and Newark. The ULR aircraft will be fitted with 67 Business Class seats and 94 Premium Economy Class seats.